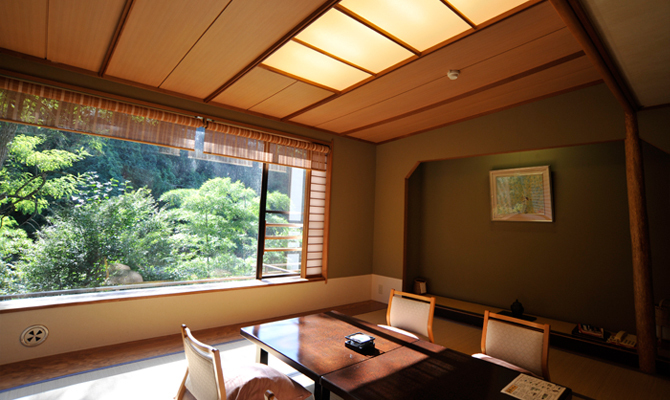 Keiryu-kan 2F(221-225) The newly built hotel located along the mountain stream. 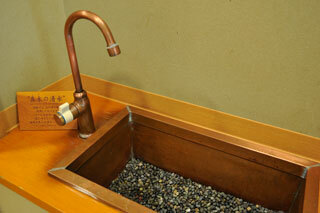 There is a sink for drink natural spring water. 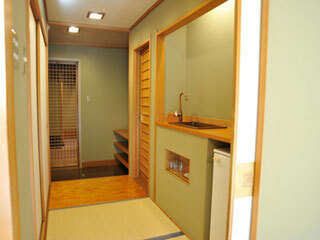 Our natural spring water is callred"Magi No Shimizu"
It is available in all the buildings. There are restroom or bathroom.